Looking back to 2016 I can only do with mixed emotions: so many great and important musicians left us these last 12months, but on the other side, so much great music was released or performed throughout the world. A world of immense beauty, but tremendous horror as well. As every year I will put my Best Of lists together – as always completely based on my personal recollections of these concerts and my individual taste in music. And as every year I will not include in the CD list any of the releases I have been involved in, even so I am extremely proud to have been part of making these recordings. 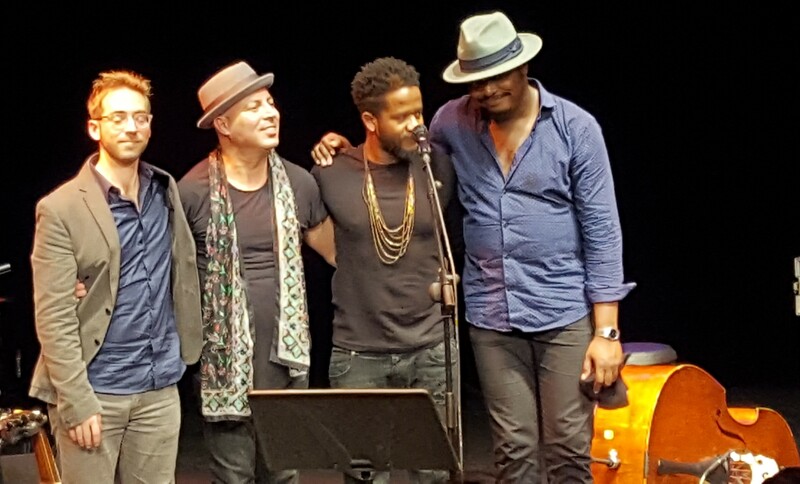 Plus more outstanding shows by James Brandon Lewis, Theo Croker, Tillery, Becca Stevens, Avery Sunshine, AZIZA, Ibrahim Malouf, Dee Dee Bridgewater, Bill Frisell, Gregory Porter, Nils Petter Molvaer and Madeleine Peyroux. Details on all of these shows you can find when going through the various posts of 2016 on my little blog. It is always difficult to pick 10 records out of the mass of great releases every year – further recommendations you will find as well in the various posts of my blog – so much great music has been released, including the 10 releases we had on OKeh Records in 2016, out of which the Bill Frisell ‘When You Wish Upon A Star’ and the Branford Marsalis Quartet with special guest Kurt Elling ‘Upward Spiral’, got a Grammy nomination each. Sadness has been a big part of this almost finished year – sadness about the madness that drives people to terror attacks killing innocent men, women and children; about the horror of war and that mankind hasn’t learned anything in its short period of time on this planet; about intolerance and hate and of course about the long list of musicians and other influential people that left us this year. I wrote about many of these in my blog, especially when I had the pleasure and honour to meet or work with them. A few days ago Rick Parfitt, partner of Francis Rossi in the band Status Quo, passed away much too early. I worked with Status Quo for a few years in the mid and late 80’s and Rick was just a lovely down to earth guy, charming and funny, loving and enjoying good food and wines.He will be missed. The photo below shows Peter Pernica, the PolyGram promo chief at the time, myself, Rick and Francis in 1986. R.I.P. Wishing you all the best for 2017: Love, Jazz and Happiness!